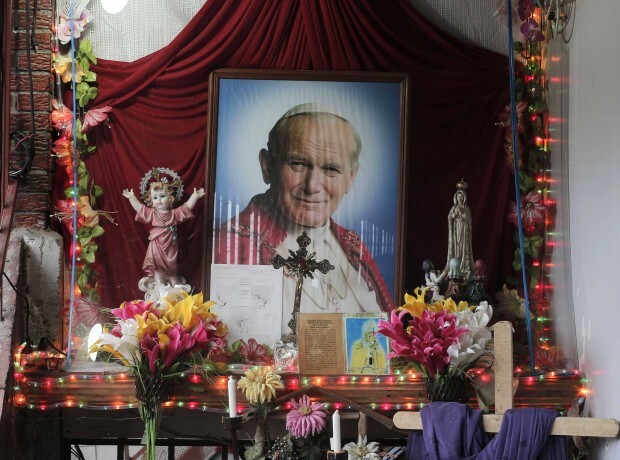 An altar containing images of Blessed John Paul II is pictured in the house of Floribeth Mora Diaz, the Costa Rican woman whose inexplicable cure has been attributed to the intercession of the late Polish pontiff, July 4 in Cartago, Costa Rica. — The miracle needed for beatification of Spanish Bishop Alvaro del Portillo, who in 1975 succeeded St. Jose Maria Escriva as head of Opus Dei. 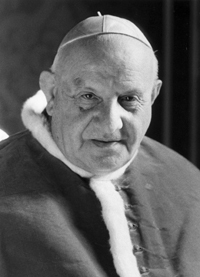 Bishop del Portillo died in 1994. — The miracle needed for the beatification of Maria Josefa Alhama Valera, also known as Mother Esperanza, the Spanish founder of the Handmaids of Merciful Love and the Sons of Merciful Love. She died in Italy in 1983. — The martyrdom of four groups of priests and nuns killed during the Spanish Civil War in 1936-1939. — The heroic virtues of three founders of religious orders; an Italian priest; and an Italian layman.